Liquor: Alcoholic beverages are sold only to persons over 18 years old. Proof of birth date with photo ID is requested for purchases if there is any question of age. Beer and wine are sold at supermarkets. Credit cards, traveler checks, cash: Visa and Mastercard are most commonly accepted, with transaction authorization. Check for acceptance of American Express, and Diners Club. Travelers’ checks (cheques) in US currency are usually accepted. No foreign cash is accepted. Telephone: Most rented accommodation have in-room phones for local and long distance calling, but check what calling rates apply. International calling is best arranged by buying phone cards at convenience stores, drugstores such as Walgreens and CVS, or Walmart, or using Wi-Fi-based calling services (VoIP). Public phones are seldom available. Some retail shops and restaurants may allow local calling as a courtesy but don’t be offended if declined. Cell phones: The major phone carriers provide mobile phone service coverage on Anna Maria Island. e.g. Verizon (CDMA), AT&T, T-Mobile (GSM) and Sprint (CDMA). The first two carriers seem to have the best coverage although the northern part of Anna Maria Island has weak signal strength. The US system includes CDMA, iDEN, and GSM at 850MHz, 900MHz, 1800MHz and 1900MHz. Third-party service providers piggyback on these carriers e.g, Virgin, Tracphone, Boost, Metro PCS. Prepaid SIM cards are available for compatible handsets. A handset with pay-as-you-go, no contract service can be obtained at Walmart, Walgreens and CVS drugstores and other electronic stores such as Best Buy and Radio Shack, which makes short-term usage affordable and flexible. T-Mobile offers a $30 prepaid Tourist Plan for international visitors to the U.S. that offers 1,000 minutes of domestic calling, unlimited domestic and international texting to over 140 countries and regions, and unlimited 2G data with the first 2GB at 4G LTE speeds. Tourists visiting the US. can go to a T-Mobile store (Walmart is closest to Anna Maria Island) with an unlocked GSM smartphone, sign up and pay for the plan, and receive a free SIM card to access the carrier’s network. The one-time, one-line plan lasts 3 weeks and cannot be renewed after automatically expiring at 11:59 p.m. on the 21st day of service. International phone numbers cannot be ported to the U.S., so T-Mobile assigns customers a new U.S. number for the Tourist Plan. International calling from the U.S. to other countries is not included in the plan and cannot be added as an additional feature, but customers can use Wi-Fi-based calling services. The Tourist Plan includes 200MB of U.S. data roaming, permits tethering, with Mobile Hotspot using data from the 2GB allotment of 4G LTE data, followed by slower speeds afterwards. Internet Access: Wifi hotspots are available free at many cafes, the Islander newspaper, and at several of the beach resorts. 3G mobile data plans are provided by the cellphone carriers above and some are available for prepaid pay-as-you-go. Most accommodations include in-room free WiFi. Power: Voltage is nominally 125V, 60Hz. 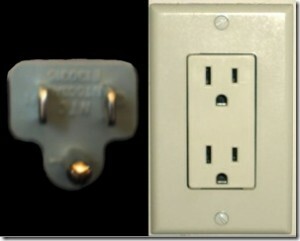 Outlets are twin parallel, polarized flat pins and round ground pin type, as used throughout the USA. Residential circuits are typically 15A max. Driving: Vehicles are left-hand drive. Road rules are mostly standard common sense. When turning left, give way to oncoming traffic. Beware of stop-signs, which are prevalent and used instead of yield signs. Florida has good road conditions with 70 mph (110km/h) open highways. Built-up areas vary from 25mph to 50mph (40 – 80km/h) so look out for posted signs. Island speed limits are 25mph and 35mph (40 – 55km/h). Unexpired foreign and international licenses are valid. Private vehicles must have current proof of insurance. Rental cars are available at major airports. Money exchange: Banks are the main means of foreign exchange and even some of those do not offer conversion. Whitney Bank Hancock Bank in Holmes Beach offers most currencies service. Last checked, Bank America and Wachovia Wells Fargo could not do any foreign exhange. Sales tax is added to all purchases’ advertised prices except on unprocessed food items and a few exempted goods and services, viz, haircuts. The tax is 6.5% in Manatee County and Anna Maria Island. Accommodation is assessed an additional resort tax of 4%. Tipping: is expected on table service and is typically 15 – 20%. Gratuity for fishing guides, taxi drivers and bar personnel is 10-15% depending on level of service. Medical care: Medical treatment is expensive, and adequate insurance is advisable. Local clinics can provide most services, and 2 major hospitals nearby offer extensive, high level facilities. Safety, emergencies: Crime is very low on the island although there is always some risk everywhere. Be prudent and discreet with valuables, cash, and tempting possessions, especially at the public beach parks. Holmes Beach has a police force and fire service. Emergency call number is 911. Holidays, tourist season. The busiest time of year is around Presidents Day, the third Monday in February, when many families visit during school holidays (Spring Break) and for spring warmth. Winter is typically when northern visitors reside but have a small effect on visible numbers. Early and late summer brings out the beach-goers and vacationers. Mid-summer is often too hot for most tourists, except weekend residents who are pursuing water sports and fishing. Major holidays are Thanksgiving November 25th; Christmas December 25; Presidents Day, the third Monday of February; Memorial Day, the last Monday of May; and Labor Day, the first Monday in September. “High season rate” is approximately November 25 to April 30. Hurricanes: In the North Atlantic, hurricanes form during the hot summer months, officially June through November but most commonly in August and September. Sometimes earlier and later storms can be a threat. Accurate forecasting and monitoring allows early warning of any possible danger. At least 3 – 7 days notice is likely and if necessary, preparation or evacuation of the island shores to inland safety is easily planned long before there is any risk of danger to life and property. Consider travel cancellation insurance to reduce financial loss of prepaid deposits. Cultural: Americans can appear brash and unsophisticated to many foreign visitors. Be prepared for extroverted behavior and casual, friendly encounters! However, they are also very conservative in many areas of dress and attitudes. Public beaches do not permit semi-naked sunbathing or wearing thong-style swim suits. Consumption of alcohol is prohibited on the beach, and local code regulations are enforced. Generally the lifestyle is informal and politely helpful. On busy weekends and holidays the worst behavior of more than usual numbers of visitors stands out but is abnormal and infrequent. Above all, enjoy your visit, don’t hesitate to ask for help, and relish in the last refuge of Old Florida style living!